In the traditional biographies of William Shakespeare, you will find no hint that Francois de Valois, Duke of Alencon may be depicted in any of the Shakespeare plays* – mainly because his courtship of Queen Elizabeth had ended by 1582, when William of Stratford was just eighteen. On the other hand, Edward de Vere the seventeenth Earl of Oxford was then thirty-two, having lived at the center of the political storm of the French Match during the previous decade; and with Oxford in mind as the author, a curtain is lifted and Alencon may be seen in several Shakespearean plays, starting with Cymbeline, King of Britaine. * If any reader finds such a hint in Stratfordian biography, please let us know. 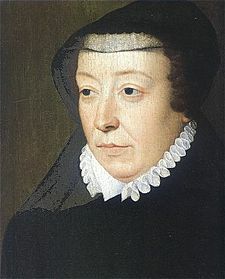 Elizabeth was on royal progress in the summer of 1578 when the French envoys arrived to begin negotiations for her marriage to Alencon, youngest son of Catherine de Medici, the most powerful woman in Europe. The Queen received the French diplomats at Long Melford, where she sent for her highly favored courtier Edward de Vere, the Seventeenth Earl of Oxford, who was then twenty-eight, to perform a dancing exhibition for the delegation. Shockingly, however, Oxford refused to obey his sovereign – not once, but twice. 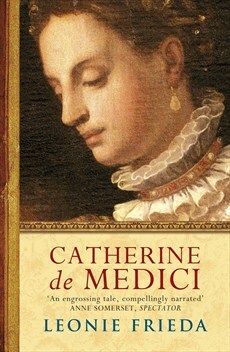 Catherine de Medici of Florence had married Henry II of France in 1547 at age fourteen. She became a political force upon his death in 1559, as the mother of three successive kings: Francis II, who died in 1560; Charles IX, who died in 1574; and Henry III, then twenty-three. Catherine had been the regent in charge for young Charles when persecutions of Huguenots (French Protestants) erupted in the St. Bartholomew’s Day massacre of 1572, when thousands were killed in Paris and throughout France. Now in 1578 Catherine was promoting the marriage of her fourth and youngest son with Elizabeth Tudor. The Duke of Alencon was about half the age of the Queen of England; he was twenty-three, she was forty-five. In boyhood his face had been scarred by smallpox, which also had slightly deformed his spine. 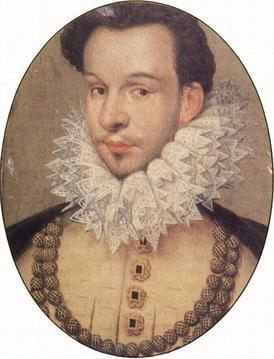 Alencon had rebelled against his royal family in 1575, proclaiming himself a protector of the Huguenots; nonetheless he was still a Catholic and, given that his brother Henry III was childless, the young Duke was next in line to the French throne. So the prospect of a French Match had sent Elizabeth’s court into a state of turmoil. 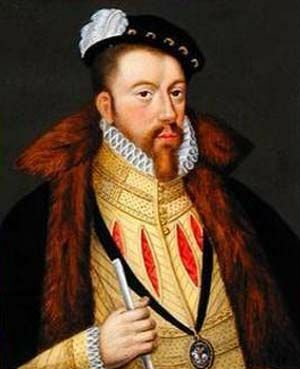 Leading the heated opposition were Puritans (right-wing Protestants) such as Sir Francis Walsingham, head of the Secret Service, and Sir Philip Sidney, not to mention Robert Dudley, Earl of Leicester, who had wanted to wed the Queen himself. Many feared that if Elizabeth married Alencon, she might die without a successor by blood, leaving her widowed King Consort free to bring England under French control; and Walsingham, for one, predicted riots in London and around the country. 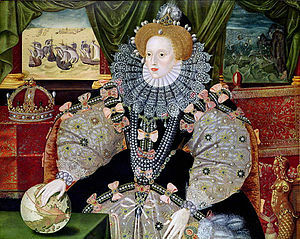 It appears, however, that Elizabeth was playing a role within a grand romantic drama on the world stage, playing her part in the prospective French Match to prevent an alliance between France and Spain – for as long as possible, at least, so England could build up naval strength capable of withstanding a Spanish invasion by armada. Enticing Alencon into the courtship, the Queen was buying time.